Traveling with Sugar reframes the rising diabetes epidemic as part of a five-hundred-year-old global history of sweetness and power. 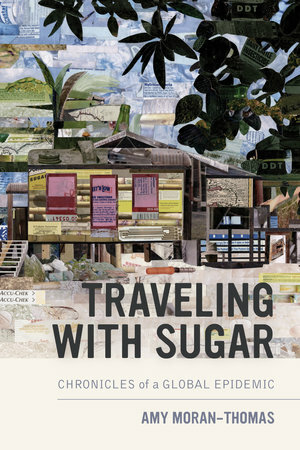 Amid eerie injuries, changing bodies, amputated limbs, and untimely deaths, many people across the Caribbean and Central America simply call the affliction “sugar”—or, as some in Garifuna Belize say, “traveling with sugar.” A decade in the making, this book reveals a series of crónicas—a word meaning both slow-moving story and slow-moving disease. It profiles the careful work of those “still fighting it,” as they grapple with unequal material infrastructures and unsettling dilemmas. Guiding us into the surprising landscapes of global diabetes, these individuals speak back to science and policy misrecognitions that have prematurely cast their lost limbs and deaths as normal. Facing a new incarnation of blood sugar, they practice their arts of maintenance and repair, illuminating ongoing struggles to survive and remake larger systems of food, land, technology, and medicine. Amy Moran-Thomas is Assistant Professor of Anthropology at MIT.